It’s Palestine’s official submission to the 2016 Oscars, and it wowed crowds at the 2015 Toronto International Film Festival. 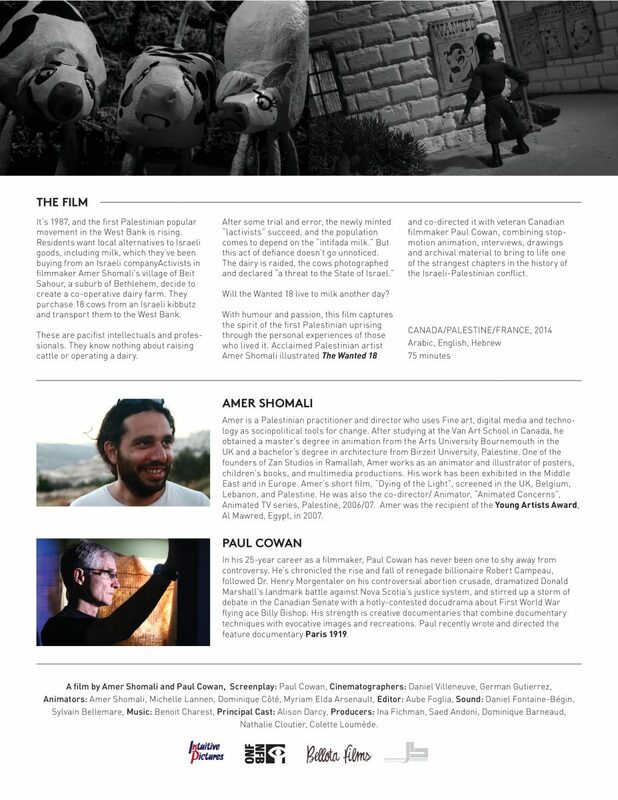 Co-director Paul Cowan will speak and answer questions. Co-produced and distributed by the National Film Board of Canada. 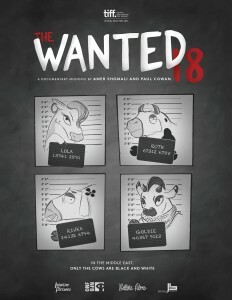 This feature film incorporates live action footage with animation to tell the curious story of 18 cows. In the late 1980s, the Palestinian village of Beit Sahour bought 18 cows to start their own milk cooperative. The cows were a symbol of freedom and resistance, providing milk for the Palestinian residents so that they would not rely on Israeli producers. Soon the Israeli army declared these cows, cherished by the Palestinians, as a threat to security, forcing the residents to hide them creatively. 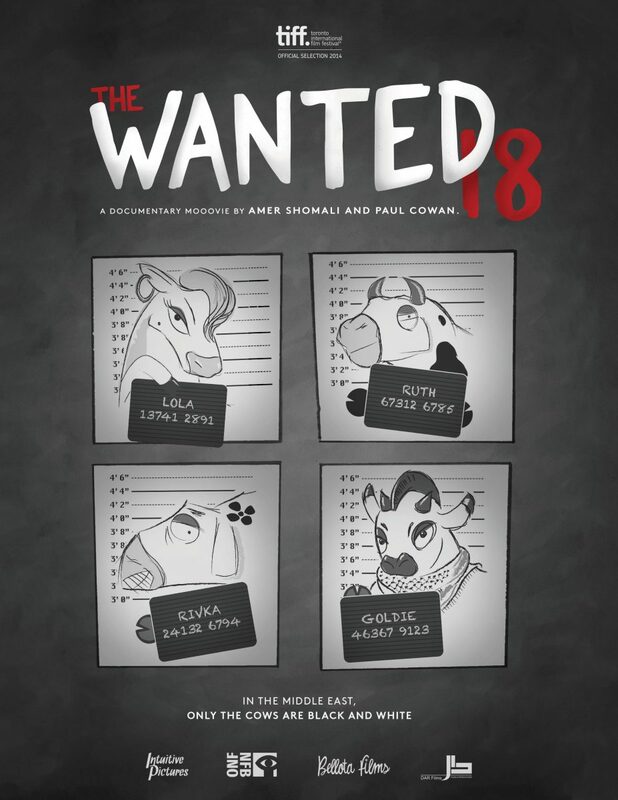 With humour and passion, The Wanted 18 captures the spirit of the 1987 uprising through the personal experiences of those who lived it. I’m so sorry I am not in Ottawa to see this film. It sounds like so much fun and like a wonderful educational tool. Is there any chance IJV could see it shown elsewhere? Perhaps even co-operating with groups like Cinema Politica to show it locally in small places like Maple Ridge where there is an active CP group or at least in major cities across the country in libraries as was done in Ottawa?